A total of 45 new Isuzu Forward 7.5 tonne rigids have gone into service with national retailer Wren Kitchens, as the Humberside manufacturer changes its distribution programme covering deliveries from its regional outplaces to city centre customers. The 45 Isuzus will be covering the distribution routes previously handled by the company’s 100 Renault Master vans. “We undertook considerable due diligence to identify that the payload afforded us by switching to the bigger GVW Isuzus would enable us to operate less vehicles in total, whilst also increasing our efficiency in distribution through the increased payload achieved. At the same time, the Isuzu’s compact footprint enables them to easily deliver to all the same places as the vans” said Lee Holmes, head of transport, Wren Kitchens. “By switching to Isuzu 7.5t rigids, we have been able to achieve the minimum payload of 2.8 tonnes that makes this operation viable, as we need to carry at least two kitchens and two remedials within each Isuzu for this new distribution operation to be successful” added Lee. By April, Wren Kitchens will have taken delivery of all 45 Isuzu Forward N75.150 (E) rigid chassis, with each one fitted with a purpose designed demountable body. All the new trucks have been supplied by Isuzu Truck’s Humberside dealer Thompson Commercials. They are each anticipated to cover at least 150,000 km per annum over a five-year working life. 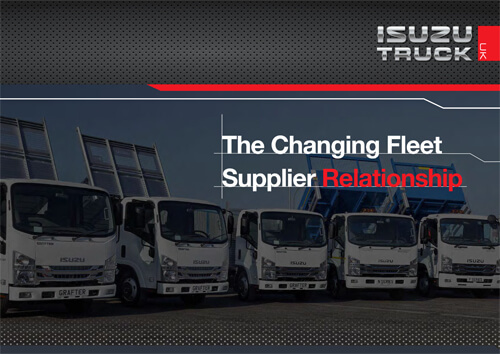 “The first 25 Isuzu trucks are now in daily operation and we have had no issues so far, plus the support that we have had from Thompson Commercials has been excellent. We have a good long-term working relationship with Thompsons and their ongoing service support is ideal for our operation” commented Lee. Wren Kitchens operate an overnight trunking service from its main manufacturing site in Humberside, using double and triple box bodied drawbar combinations. At each Wren outbase, the demountable drawbar bodies are then transferred to the Isuzu rigids for onward distribution within the key urban conurbations, with 60% of the business being handled within the south of England. Wren Kitchens is a privately owned British designer, manufacturer, and retailer of kitchens. The company has 64 showrooms in the United Kingdom, with its headquarters in Barton-Upon-Humber in North Lincolnshire, England. “By working closely with Thompson Commercials and Wren Kitchens we were able to provide them with an ideal vehicle specification that clearly meets their requirement for the highest payload possible, together with a compact vehicle footprint. 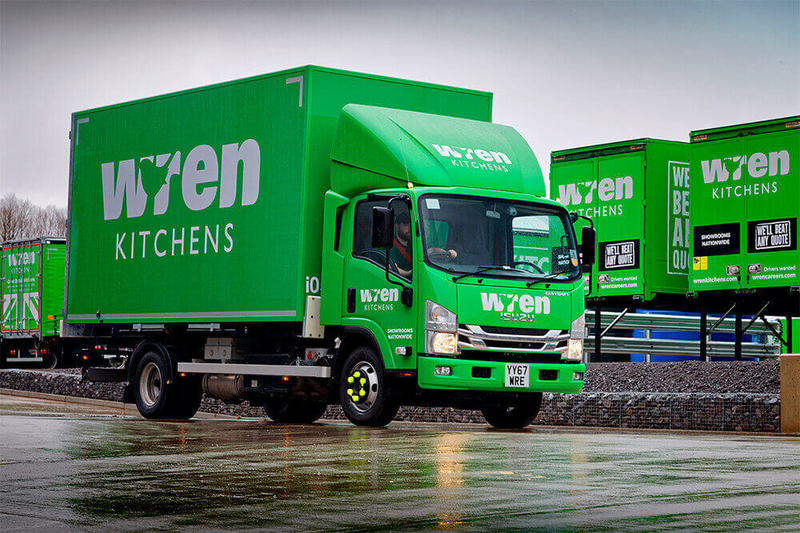 With their striking livery on the Isuzu chassis now becoming a more regular sight on the roads, Wren Kitchens is a most welcome addition to our ever increasing customer portfolio” said Pete Murphy, managing director, Isuzu Truck UK.